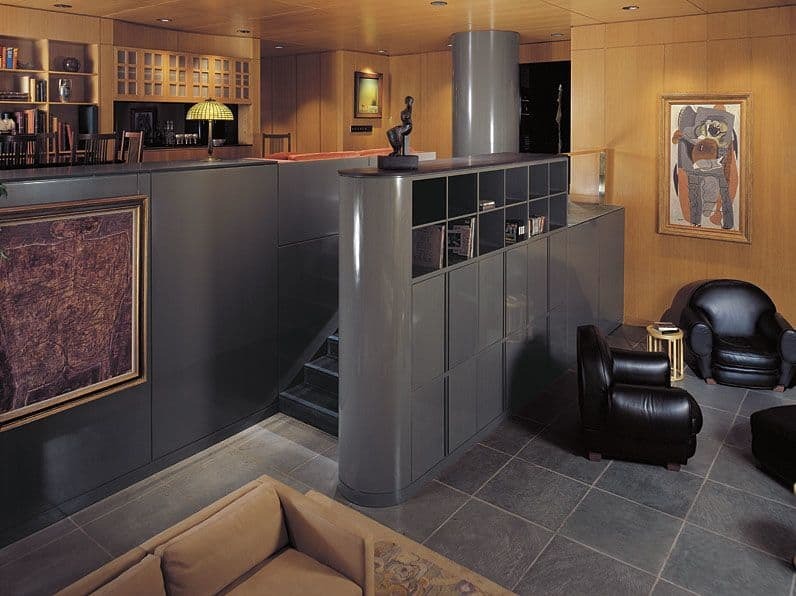 This public room, comprising entry gallery, dining/sitting, and living, is modulated by a new black slate stair, dark-gray lacquer cabinets, and a single round column. 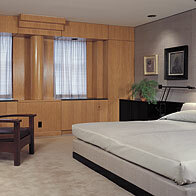 These elements, along with the art, all act as primary objects within the oak-paneled frame. The perimeter wall, which reinforces perceptual unity throughout the apartment, is deeply recessed, with articulated oak columns integrating the black slate sills and the dropped heads with stepped capitals. The design reaffirms the possibility of a dialogue between abstraction and traditional architectural language.